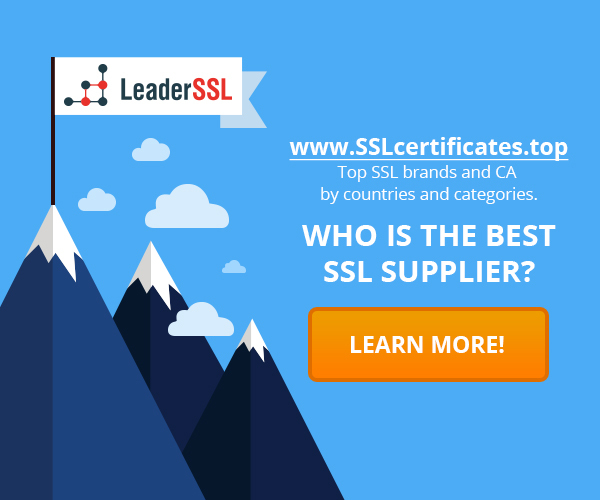 Home › CA › How to choose a reliable certification authority? How to choose a reliable certification authority? Small websites that need an average DV-certificate, can request it at any of the certificate authorities. Their task as simple as buying the cheapest certificate that is available. Any public certification authority is issuing these kind of certificates. Why pay more? However, if you need a certificate for something more valuable then it will be wise to take time and carefully select the CA that satisfy your needs. You will be dealing with Certification Authority in the long term, therefore it is highly recommended to use the proven authorities. Let’s check out what factors you would need to consider when choosing the appropriate certification authority. One of the most important aspects to consider when choosing certification authority – services. Business, which are dealing with SSL certificates, are becoming more common. If you do not have experienced specialists then, it would be better to work with CAs to which you can rely on. Price matters, however, remember that it is calculated based on such criteria as the management functions and quality of support. Should you already have a well established customer database, you will need a certificate authority with a trusted root. Well known certification authorities will be preferable, however new CAs, which have roots signed by a trusted CA, would also be a suitable option. What is required to check in this case? It is necessary to select a list of platforms which are important to you, find out which devices are supported by the CA, as well as confirm that support is available whenever you need it. You should try to work with those CAs, which are rapidly adopting new technologies and abandon the old ones. Nowadays we need to look at the CAs, which are issuing SHA256 certificates, offer good OCSP service, but also offer the pinning and Certificate Transparency. One of the most important condition when choosing certification authority is security they can offer for your business. How can you ensure that you’ve choose right CA with high security ranking? All authorities pass through audits, and generally they provide reliable security, however past experience has shown that they are not equal. It is best to read the news about the certification authority. Comodo, Symantec, RapidSSL, Entrust are well known, reliable CAs that you can trust.